Prior to Windows 10, Microsoft released new versions of Windows every few years. This traditional deployment schedule imposed a training burden on users because the feature revisions were often significant. That schedule also meant waiting long periods without new features — a scenario that doesn’t work in today’s rapidly changing world, a world in which new security, management, and deployment capabilities are necessary to address challenges. Windows as a service will deliver smaller feature updates two to three times per year to help address these issues. 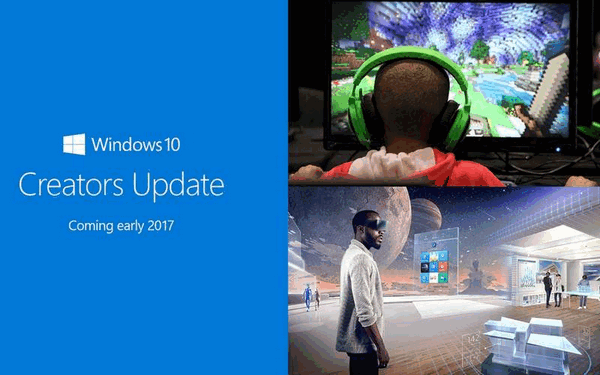 The last major “features update” was Windows version 1607 “The Anniversary Update”, which was released in August 2016. The next features update is coming soon – on April 11, 2017. It is is called the Creators Update. Not everyone will get the Creators version on April 11, 2017 -but that’s the day it will start rolling out. And if you are not one of the first to get the Creators Update – look at the bright side: you’ll be letting other people be the guinea pigs. The Creators Update (no apostrophe, grammar fans) will bring several new features and quite a few small changes to Windows 10. And some of them we think you’ll probably like. There are too many changes to list here, so here are a few we thought you’d like to know about. Game Mode. This will be useful for those of who play games. In Game Mode, Windows Game Mode shifts system resources away from other processes to your game. Windows Game Mode will have many new features. We’re not gamers, but if you are, you’ll find a lot to like in the Creators edition. Paint 3D. Paint done right. Windows 10 Creators Update introduces Paint 3D. Paint 3D is a is a huge upgrade to Windows Paint, which has been part of Windows since Windows 95. Paint 3D makes 3D design available to all Windows 10 users. With Paint 3D, you can edit and build 3D models, integrate 2D images and apply textures to 3D objects. Paint 3D supports 3D printing too. Users will also be able to access a library of free 3D shapes and models you can download and use in Paint 3D. Night Light. Experts, whoever they are, claim that blue light such as that emitted from computer screens can keep you awake. 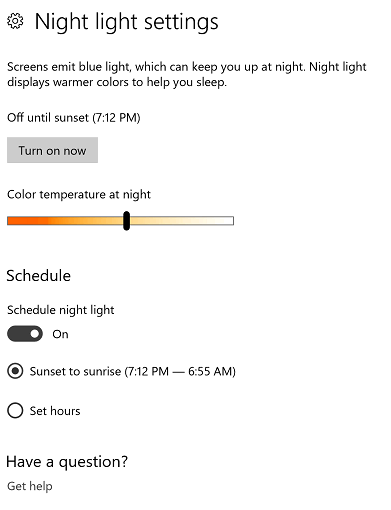 So, the experts say, if you’re using your computer before you go to bed, the blue light emitted from your computer’s screen will trick your body into thinking it’s day time. Interesting. 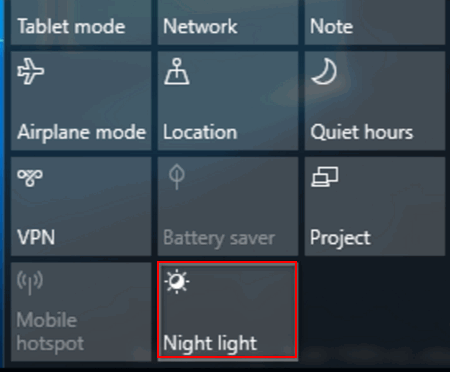 Anyway… Windows 10 Creators Update introduces Windows Night Light which (by default) turns on at sunset and off at sunrise. It brings warmer colors to your screen and “de-blues” your screen’s blue emissions making things more restful. Not as feature-full as f.lux, if you like this sort of thing, it’s built-in and you don’t have to install any third-party programs. New Privacy Dashboard. 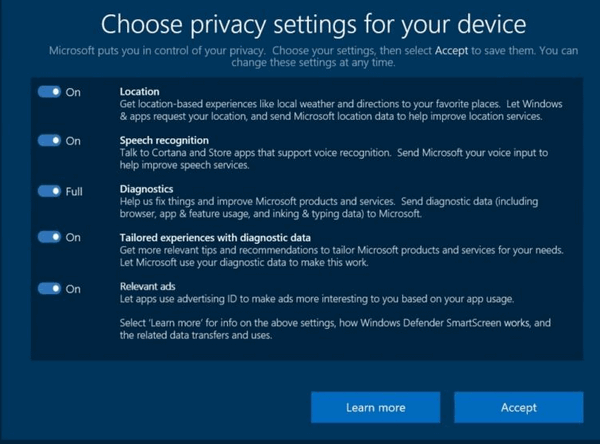 A new privacy dashboard will make it easier to control Windows 10 privacy settings. The Privacy Dashboard makes it easier to turn on and off settings which affect your privacy. Whether or not anything you do here really enhances your privacy, who knows? Right! Only Microsoft knows. Note: All settings above are shown in the On state – but that was only for the screen shot. We would advise turning them all off, or carefully choosing the ones you turn on. If you don’t understand what each setting is for, you can click on the “Learn more” button at he bottom of the Privacy Dashboard to find out. New Edge Features. Microsoft is still trying to figure out how to compete with Chrome. Their advertising campaign that claimed Edge was faster than Chrome didn’t work. So, now they are introducing new features to Edge. One is a built in E-book reader, and the other is called Tab tools, or as we call it “drop down tabs”. You can drop down thumbnail previews and individual tabs when you hover over them. There’s also a “Set tabs aside feature” which lets you set tabs aside for viewing later – when “Set aside” these tabs use no resources. How useful these features will be depends on the user. Most people don’t use Edge. If you use Edge, these might be features you’ll like. However, feedback on the new, improved Edge, seems to indicate thatw Edge has a way to go before it will be a major challenger to Chrome. Unified Updates. Because Windows is a now a service, every time Windows has an update you’ll need only to download the files necessary to update your version/build of Windows 10. In the past it has always meant downloading the entire update. According to Microsoft, the downloads will average 35% smaller than before Unified Updates. This should save you time — and if you’re being charged for bandwidth, it should save you money. More Control Over Windows Updates on Windows 10 Home Edition. Finally, Windows 10 users get some control over how and when Windows Updates are downloaded and installed. You’ll be able to choose a time and date to install Windows updates. But don’t get too excited, the longest you can delay them (without resorting to the Metered Connections trick) is 7 days. Fresh Start. Windows Defender Security Center includes a new feature called “Fresh Start”. While Windows Defender isn’t all it should be as an anti-malware, anti-virus, Windows Defender Security Center in Windows 10 Creators edition will be useful for those who want a totally “fresh” start. Fresh Start will make it easy for users to clean install Windows without any of the manufacturer’s bloatware being reinstalled. Note that Fresh Start is not the same as System Reset. Start Menu Changes. Minor changes are good things, and Windows 10 Creators Update keeps the now-familiar Windows 10 Start Menu look, with just a few nice changes. If you’re a fan of tiles, you be able to create tiles of folders. You will also be able to hide Windows apps on the start menu. Small changes are good… you won’t have to learn a whole new start menu again. Open Settings —> Update & security–>Windows Update. If you see “Good news! The Windows 10 Creators Update is on its way. Want to be one of the first to get it?” Click on “Show me how” underneath it. Are you ready for another major update of Windows 10? Hopefully this want be a bad update. It still is never a bad idea to backup though. My problem is that win 10 Edge won’t support Roboform or Norton Security. Why would you want to use edge? I downloaded the new Windows update. It went through the whole cycle up to 25% of working on updates. Suddenly it clicked, the screen went black and it just sat there doing nothing. finally I pushed the power button and it said it was attempting to restore the update but very quickly went to “Restoring previous version” which it did. Is there anything I can do to get the update on my pc? I have run Scannow and do not have a problem. You would need to contact the guys and gals at Microsoft. You can do that right from Windows 10. In the taskbar search (Cortana) type Support – then click “Contact support” when it appears at the top. If they can’t help you nobody can. Lots of things on the web about making sure your antivirus is turned off and all of that stuff, but your best bet is just checking with Microsoft and see what they have to say. Let us know what happens. Hey, I waiting for that upgrade version. And from there you will get some more features.So if you interested this topic then Toshiba Support will help you more.